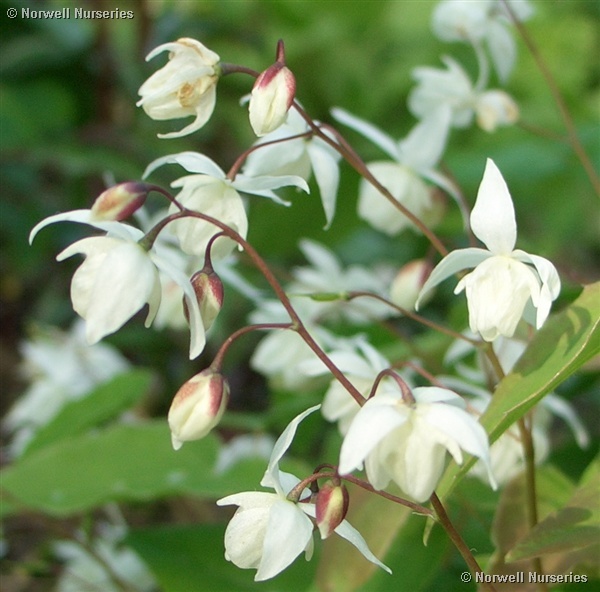 Epimedium niveum A most beautiful Epimedium for shade in soil which doesn't get too dry. Pure white dainty flowers and attractive burnished foliage. (-16°C).